I’m having a change of scene from my teenage diary today. I only do this on special occasions e.g. when I unearth a piece of spectacularly bad poetry. This time, I have uncovered solid evidence that I always have been (and probably always will be) a massive pessimist. 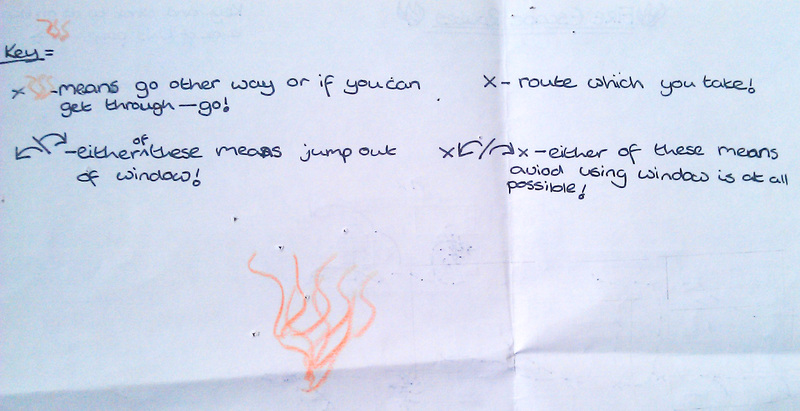 I have found my ‘Fire Escape Routes’ diagram. After digging out my Man Utd shirt from 1997 the other week, I decided it was probably time to thin out my hoard. At the back of a drawer, I found a box of crap. Crap to the level that it included a lump of candle wax I had moulded into a ball about 24 years ago. 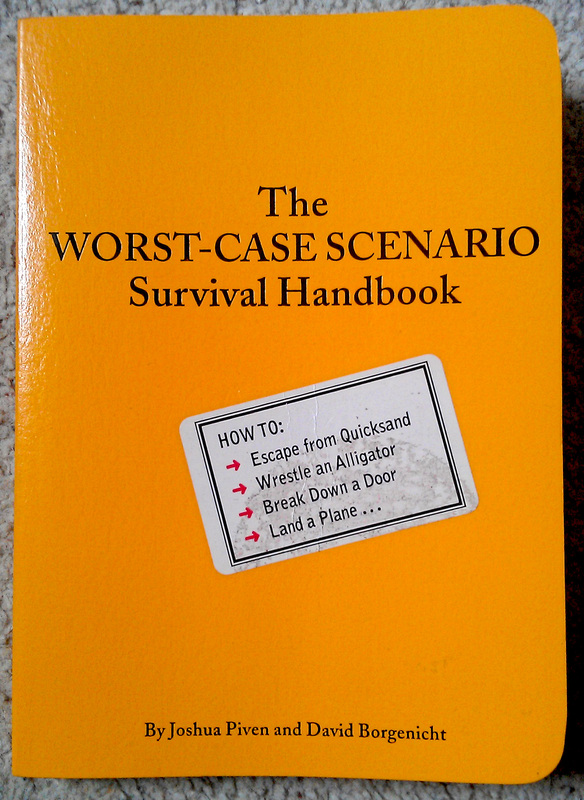 There were a couple of gems in there though, one of which was ‘The Worst-Case Scenario Survival Handbook’. It’s full of handy hints and tips like how to deal with a charging bull, escape from a sinking car, and perform a tracheostomy; all situations I have genuinely worried about encountering. Mum knew this and bought me the book as a birthday present in my early 20s. I was pleased to find it and her little note in the front. 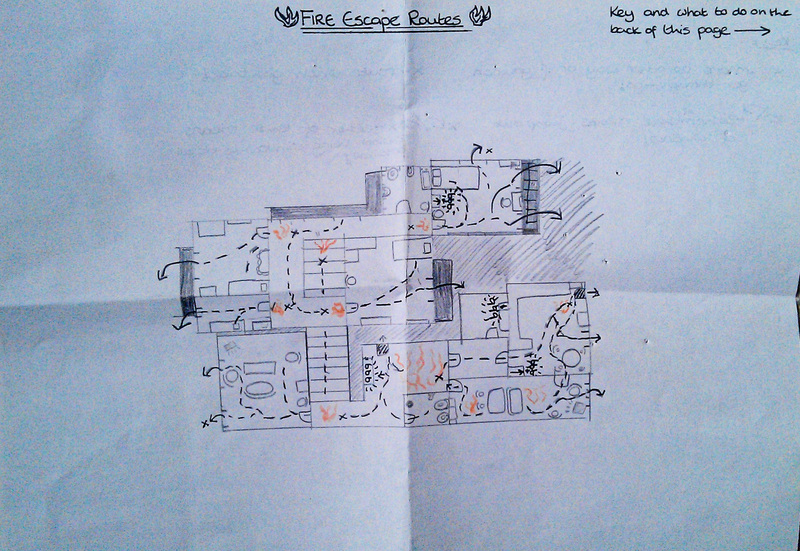 The A4 sheet detailing ‘Fire Escape Routes’ fell out of one of the pages. 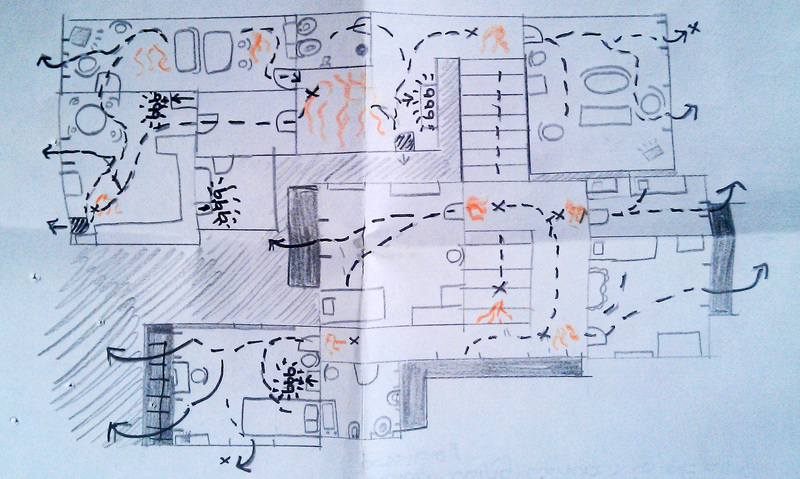 I did it when I was 10 or 11 following a visit to school from Cheshire Fire & Rescue and the doom-laden Welephant. It didn’t take much to make me worry so when Welephant told me I should make a Fire Escape Plan, I blooming well went home and made a Fire Escape Plan. In ridiculous detail. Down to the pillows on the beds and the taps on the sinks. Don’t understand it? FEAR NOT! I wrote a key on the back. This pessimist liked to make sure everyone in her optimistic family was well-informed so the plan was pinned up by the fridge for all to see for years. 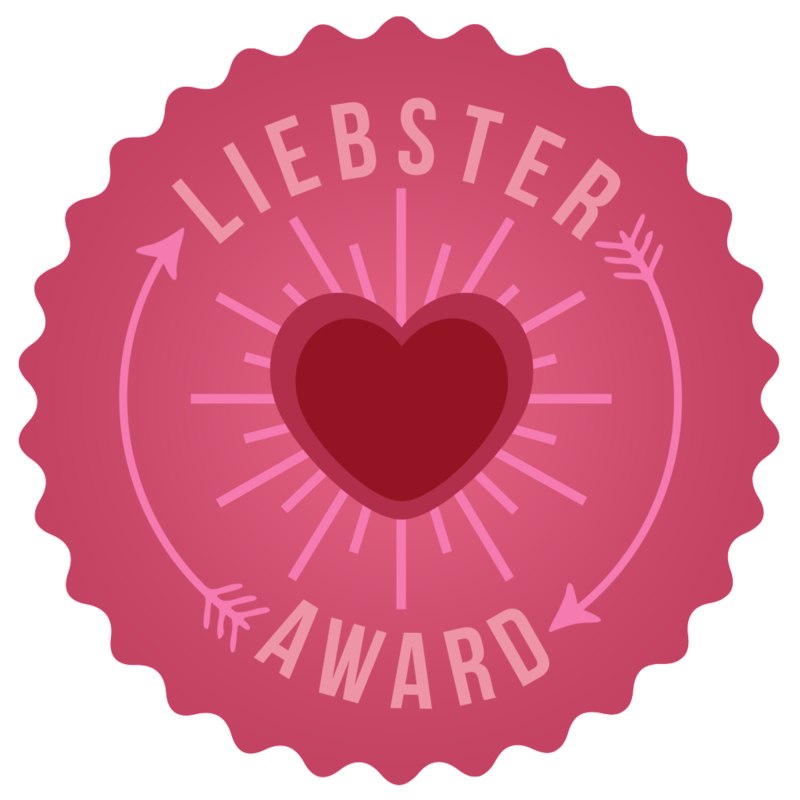 Thankfully, it’s not yet been put into action but I’m going to stick it back on the wall JUST IN CASE. Should I be worried about how much I worry or do other people do things like this?! On that note, I’m off the test the smoke alarm batteries.